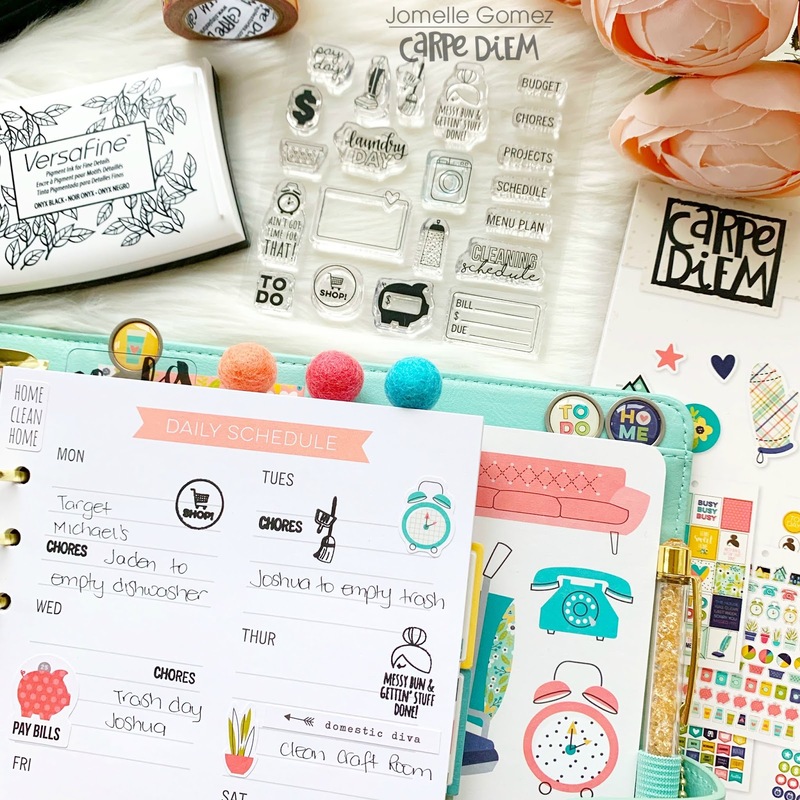 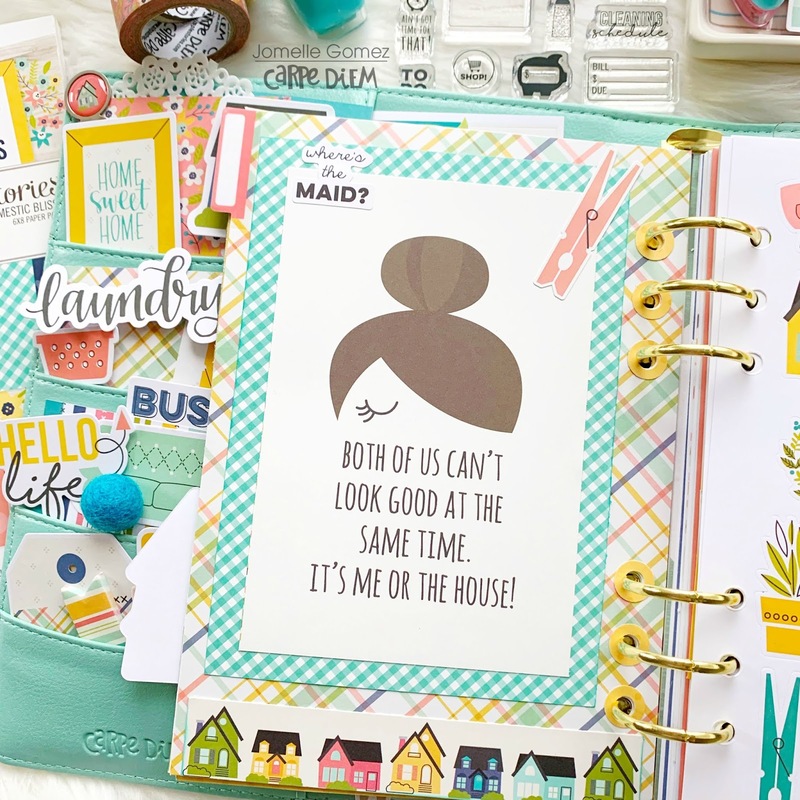 Setting up my planner using the Domestic Bliss makes me want to clean the house. 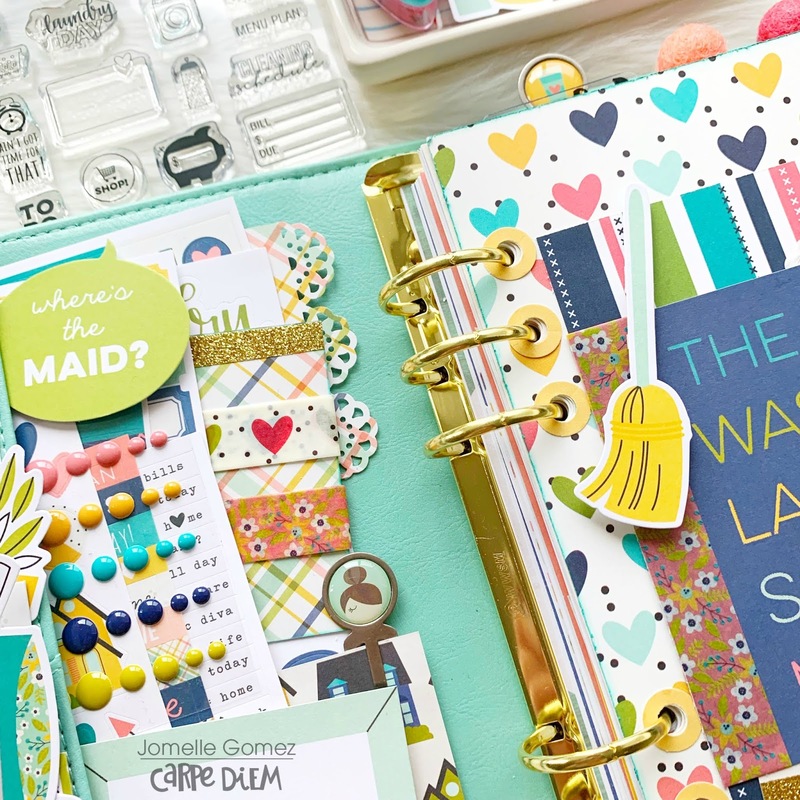 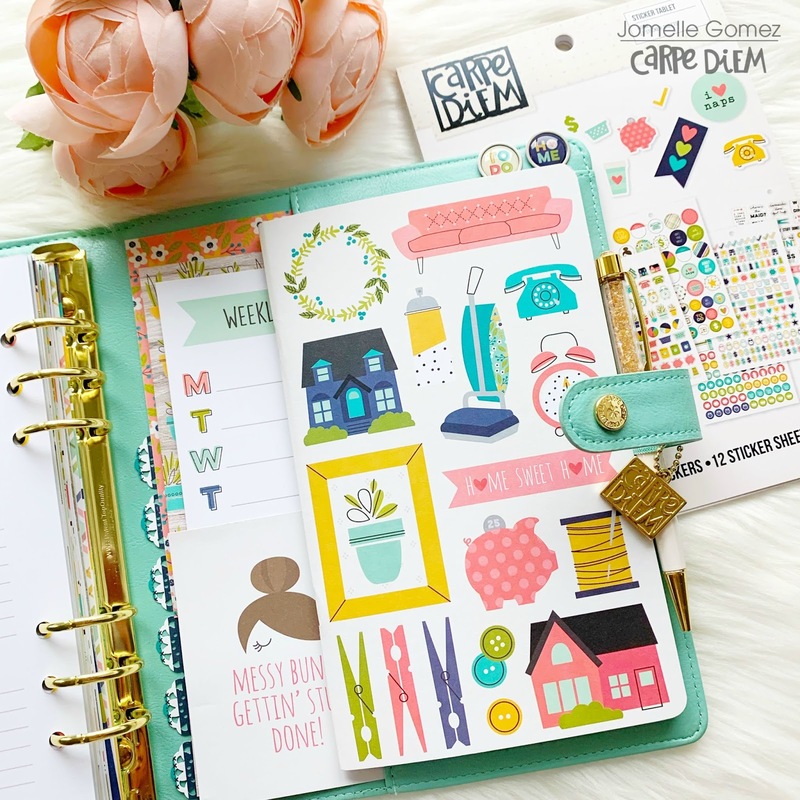 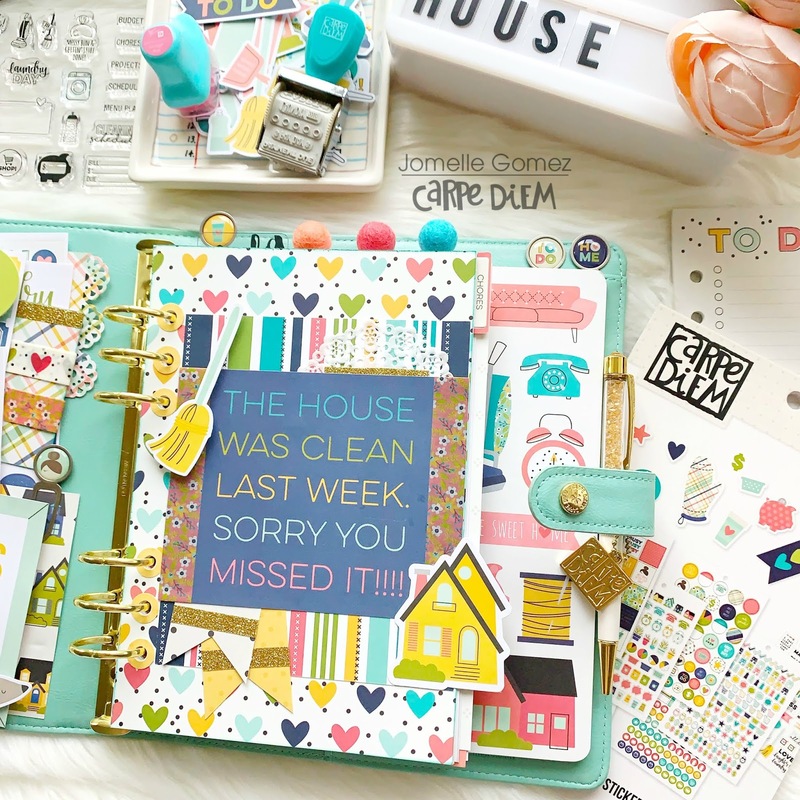 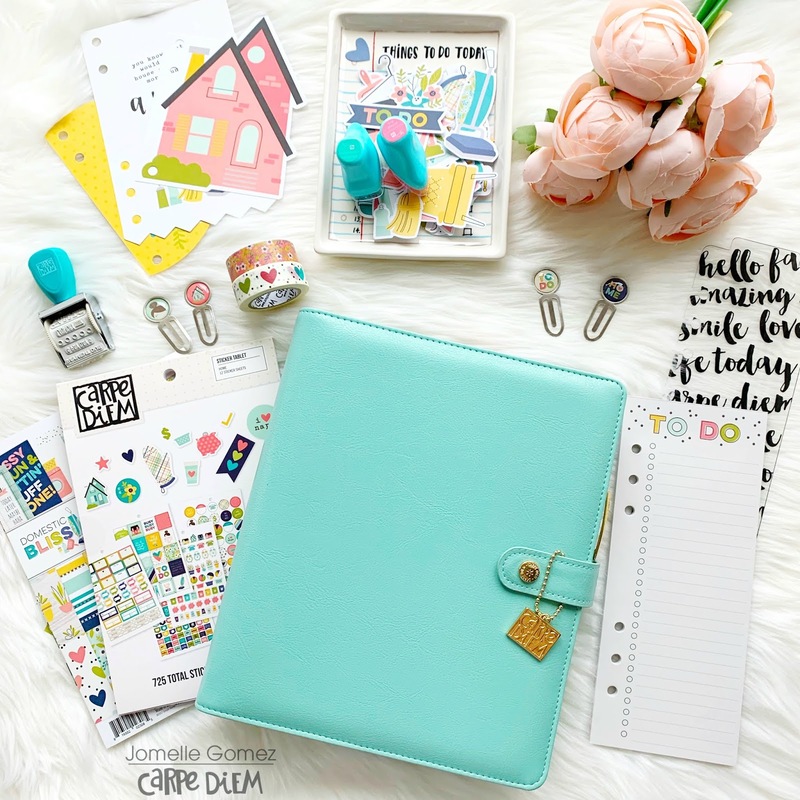 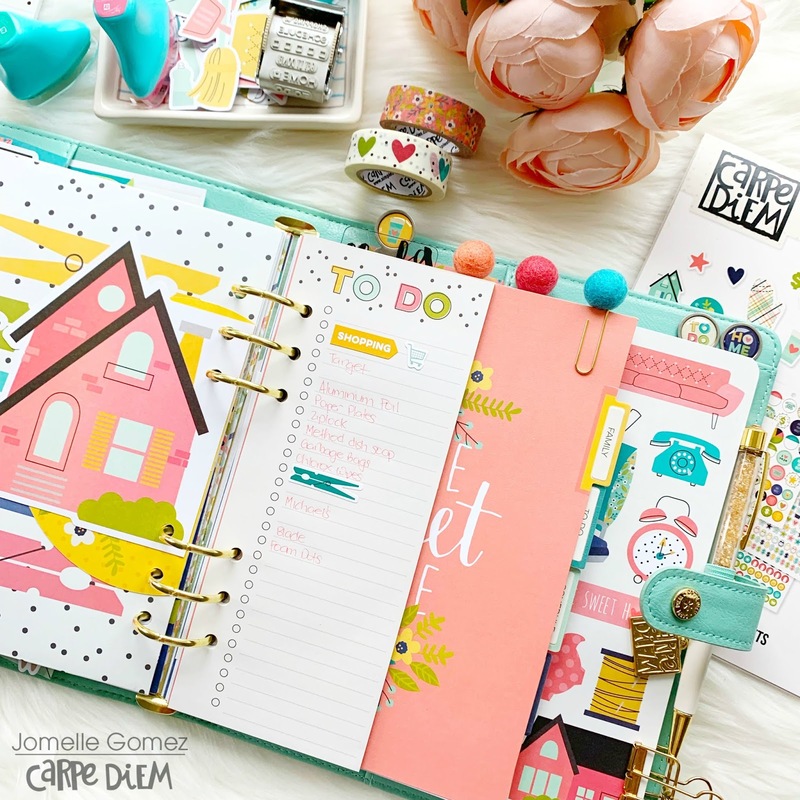 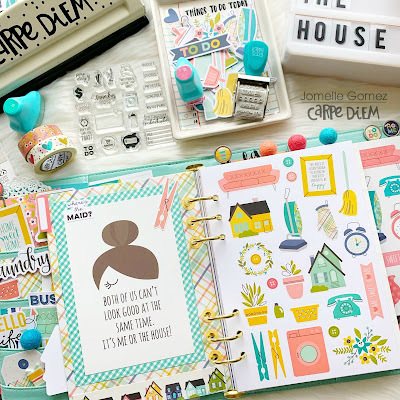 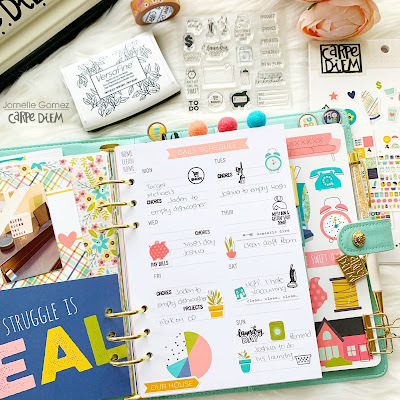 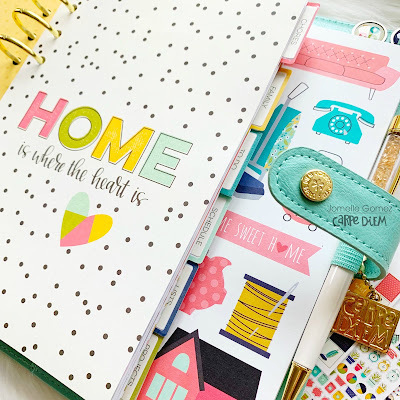 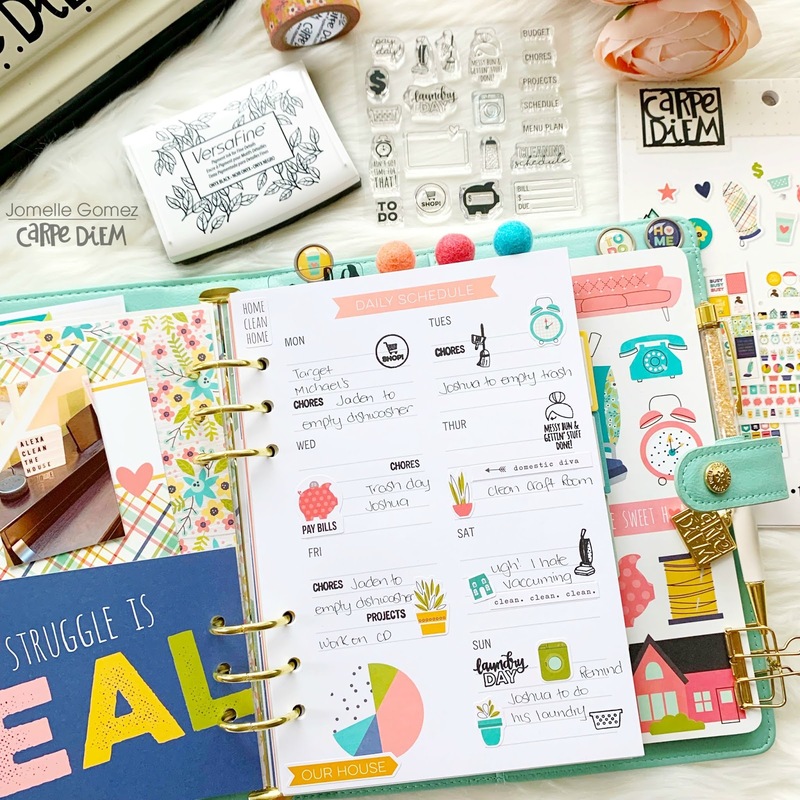 I chose the Robin's Egg A5 planner which goes perfectly well with all the Domestic Bliss soft colors. 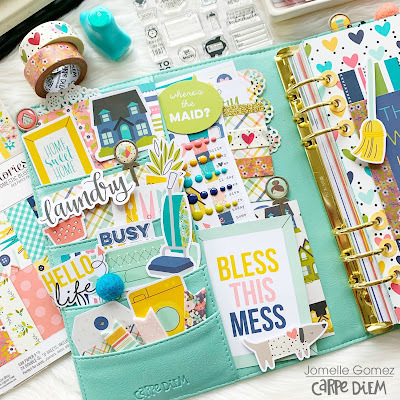 I've used many supplies which are now available at https://carpediemplanners.com for purchase. 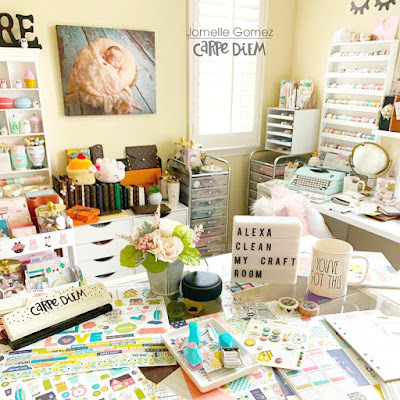 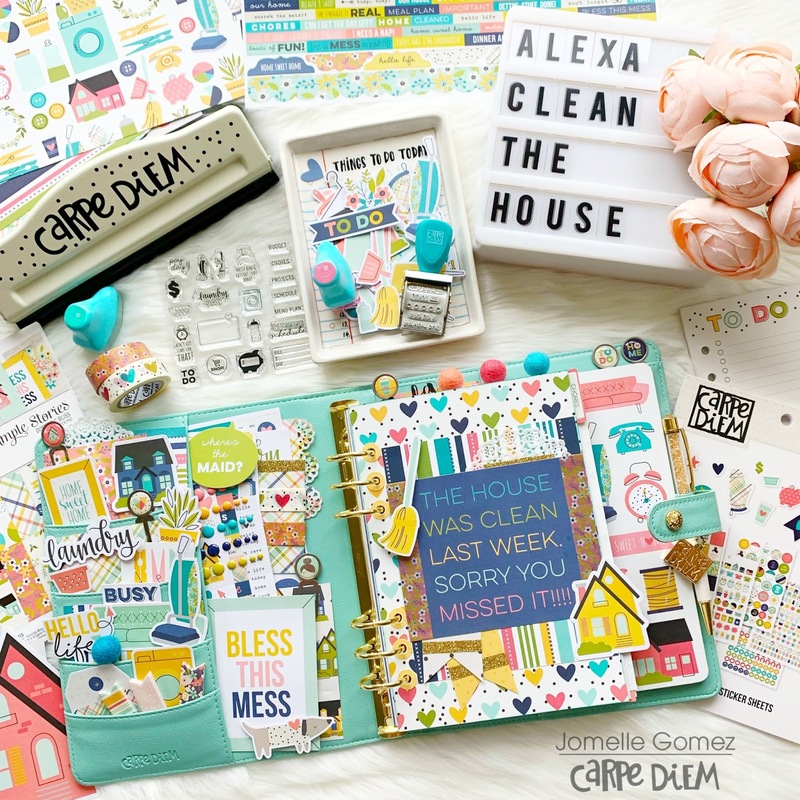 You can find it by looking for Designs and it will be under "Home"
"Alexa clean my craft room"